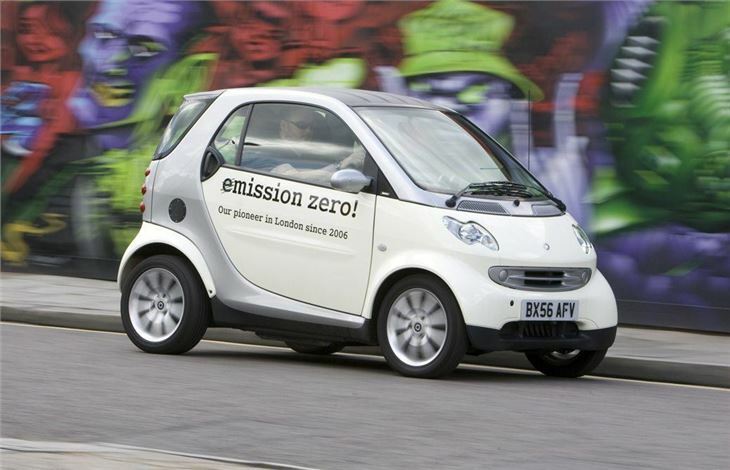 Good performance and reasonable range for an electric city-only car. Exempt from congestion charge and road tax. Cheap to run. 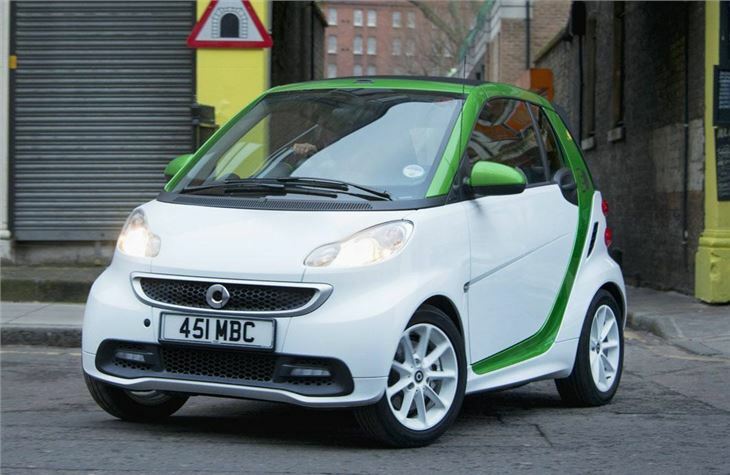 Initially available as a business lease car only and the monthly rentals are a high £375pm. 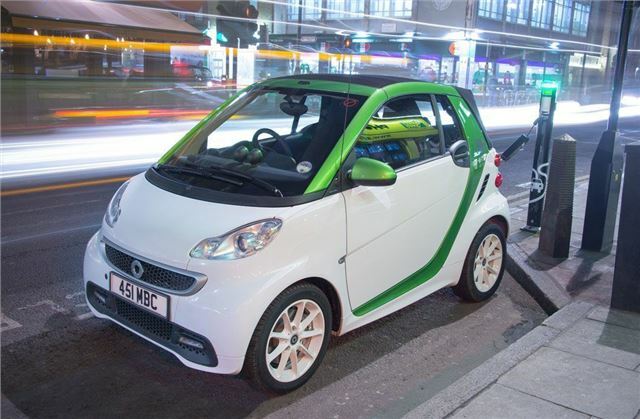 With its diminuitive size and proven city car credentials the smart fortwo makes a sensible base for a pure electric vehicle. 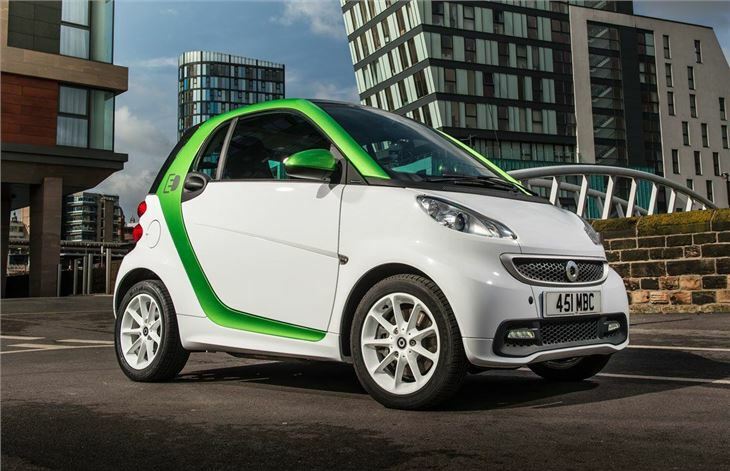 The smart ed (electric drive) is powered by a rear mounted 30KW (40bhp) magneto-electric motor which produces 120Nm of torque. 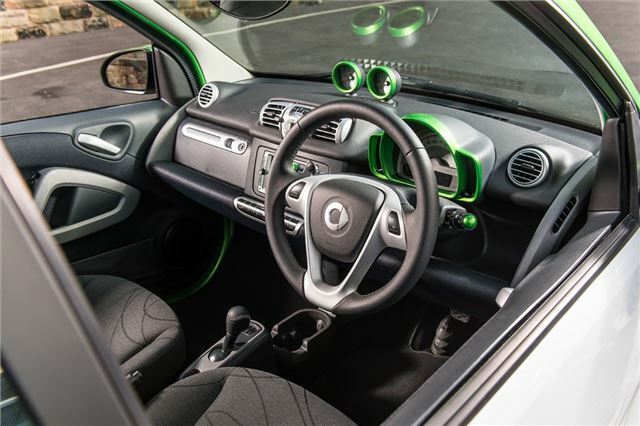 Drive is delivered through a single gear ratio to the rear wheels. 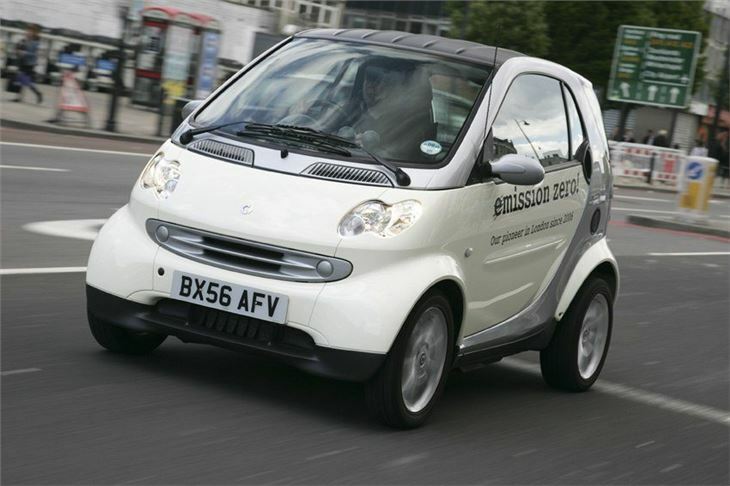 A full charge from empty takes eight hours and gives a theoretical range of 84 miles. The Tesla developed battery can be charged from any 220 Volt three -pin socket, providing it has a fuse. 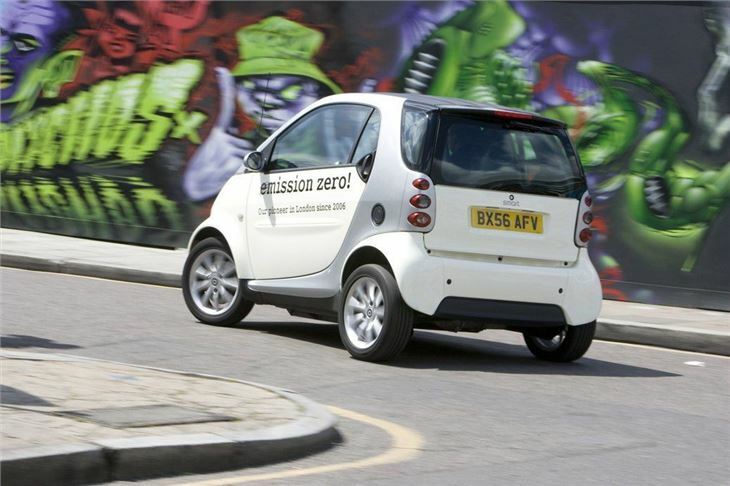 Top-speed is limited to 62mph, so the smart ed isn’t suited to an out-of-town environment.